charges in a downtown Los Angeles courtroom. A woman acquitted of murder last year in connection to the high-profile slaying of an aspiring model filed a lawsuit Wednesday accusing Santa Monica police of intimidating witnesses and damaging her reputation. Kelly Soo Park, 48, alleges three witnesses who planned to testify on her behalf were scared off or tainted by Santa Monica Police Det. Karen Thompson. T&T covered the Kelly Soo Park trial. In 2010, Kelly Soo Park was arrested for the March 2008 murder of 21 year old Juliana Redding. Redding was found beaten and strangled to death in her apartment. Park's fingerprint and a drop of her blood were found on a ceramic dinner plate in Redding's kitchen sink. Park's DNA was found around Redding's neck, on the front and back of the t-shirt Redding was wearing, on Redding's, blackberry cell phone as well as on a stove knob. Deputy District Attorney Stacy Okun-Wiese prosecuted the case. The prosecution alleged that Redding was killed after her father, Arizona pharmacist Greg Redding, backed out of a business deal with Dr. Munir Uwaydah, who dated Juliana for a short time. Park was acquitted of all charges on June 4, 2013. I clearly remember when the defense argued these motions to present this evidence just days before the trial was about to start. Judge Kennedy ruled over and over again that this evidence did not meet the standard. That there was no "nexus" between John Gilmore and Juliana Redding's murder. Regarding Melissa Ayala, Judge Kennedy said something to the effect that if you asked Ms. Ayala on Wednesday how she felt about John Gilmore, she would say she loved him but if you asked her on Thursday, she would say she was afraid of him. All this time I felt Kelly Soo was guilty. Now I don't know what to feel. I was present when these motions by the defense were argued. The testimony of Ms. Ayala, trying to create a nexus between John Gilmore and the murder, Judge Kennedy ruled, was not credible. According to her ruling, it did not rise to the standard to present 3rd Party Culpability evidence. Several months ago, CBS 48 Hours had an episode on this trial. The jury consultant for the defense was interviewed (no jurors) and said she was surprised by the verdict. 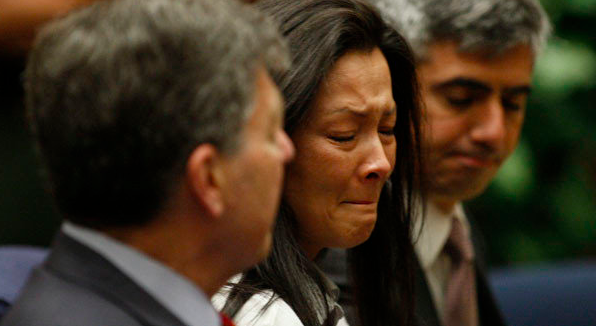 A hung jury was her hope, but Kelly Soo Park was acquitted. I would like to know what the jury's thinking was in arriving at a not guilty verdict. Unfortunately David, the jurors chose not to speak to the media, or even the attorneys working on the case. Couldn't attorneys for the Santa Monica Police Department have Kelly Soo Park answer questions under oath during depositions? They could also call her to the stand during a trial. Once I'm able to obtain a copy of the lawsuit, we will know more. Since the jury has never spoken to the media, it's an unknown what their thought process was. It is because they are ashamed of their verdict. They don't have the courage to boldly stand before the people and explain themselves. Apparently every single one of them.